My challenge in loving nature isn’t usually the “getting outside” part, its avoiding the poison ivy that thrives in the woods. 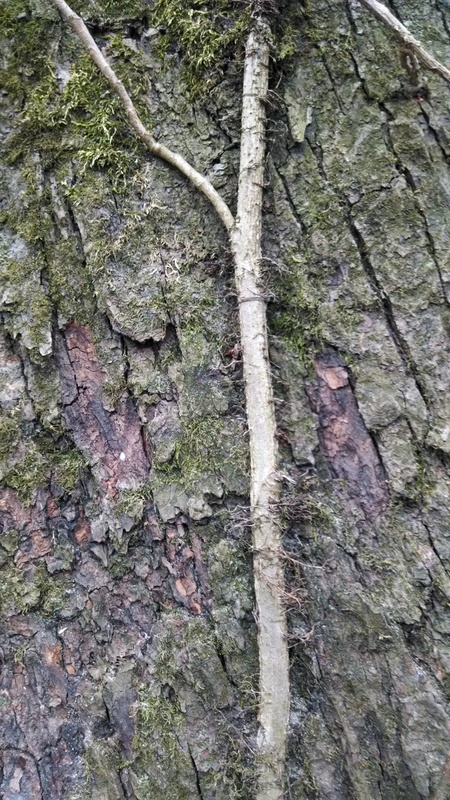 Poison ivy is beautiful, especially in the spring and fall, but the oil causes my skin to break out in open, weeping, ever-expanding, never-healing sores, which causes me to go to the doctor for prednisone, which wreaks havoc on my immune system. Last summer, I avoided the doctor/prednisone, and I am going to do my best again this summer. 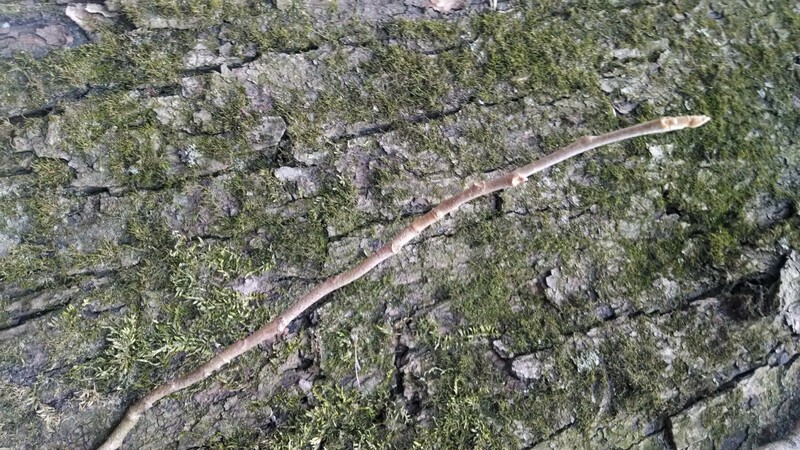 I nearly walked into this poison ivy branch, hanging face-high from a tree. The fine hairs on the main vine gave it away. The young leaves in the spring are a deep red. Step 3. Wash thoroughly, assuming avoidance wasn’t good enough. Always a good idea after playing outside, because it provides an opportunity for a thorough tick check. If I was in the general vicinity of poison ivy, I just use soap and water. If I’m fairly sure I actually contacted the plant, I use Goop first, which binds with the oil. Step 4. At the first sign of breakout, start drinking copious amounts of tea made from reishi mushrooms, stinging nettle leaves, and budding goldenrod flowers. The challenge is on-we’ll see how this season goes! 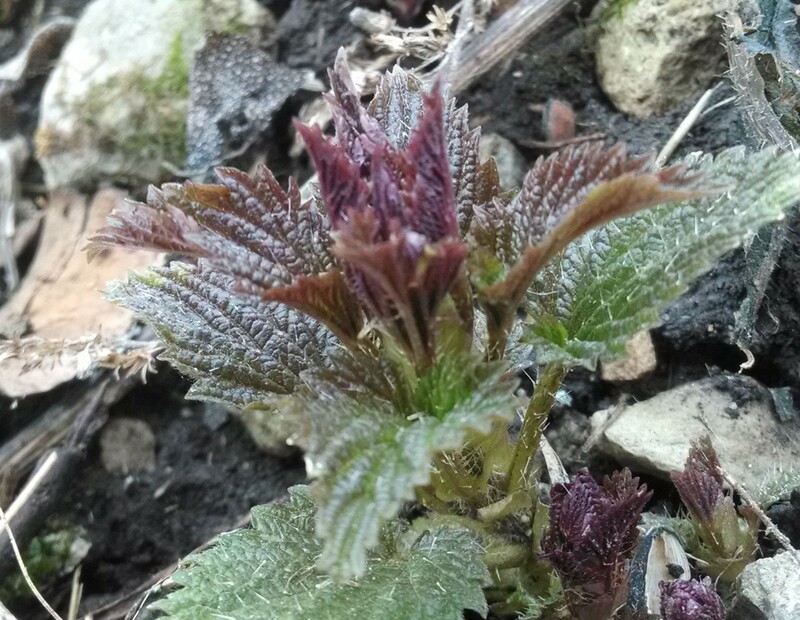 The stinging nettle leaves that emerged mid-April are getting too big too harvest, but there are young plants still coming up around the edges of the nettle patches. Where are you roaming the world, that doesn’t include poison ivy? I will have to plan an outdoor adventure there! Agreed. But being outside is worth it. This is really valuable information. Thanks for sharing your unwelcome , firsthand experiences! 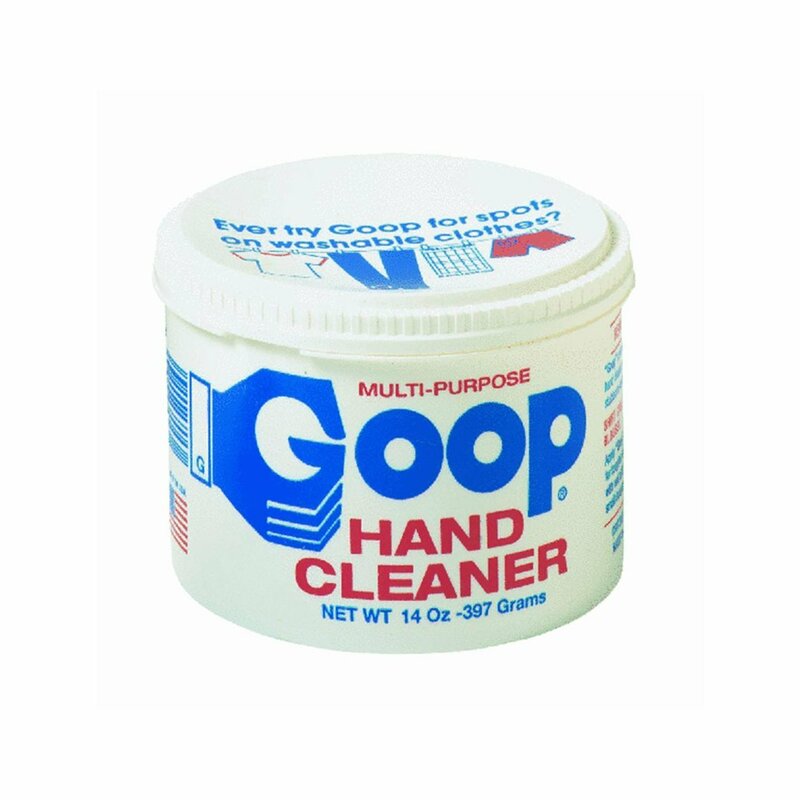 Thanks for the info on Goop! 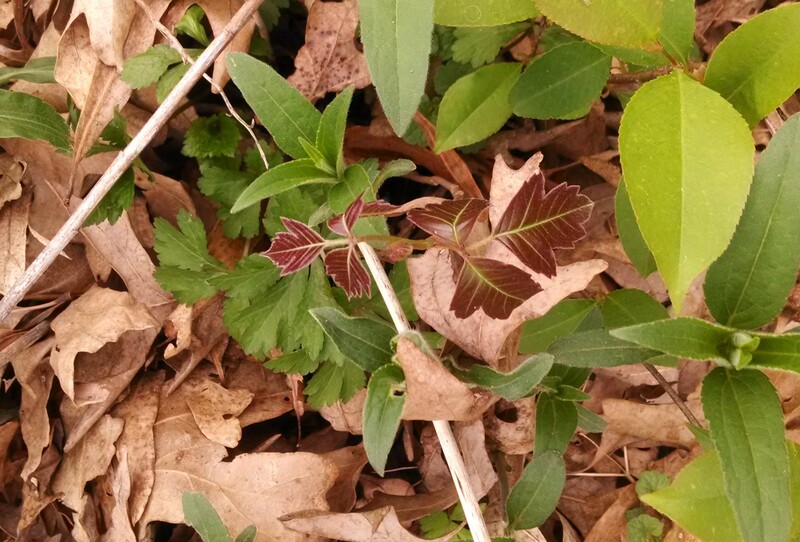 We’ve seen some poison ivy in the woods (just like the reddish picture) but managed to avoid so far. Winter woods walking sure has benefits!